MOST cities have their landmarks - Paris the Eiffel Tower, London Big Ben, Rio de Janeiro Christ the Redeemer etc.. For four years, B of the Bang performed that function in Manchester, a 56 metre reminder on the skyline, high as a twenty storey building, of what the city stood for. Commissioned in 2003 to celebrate the success of the 2002 Commonwealth Games, Manchester’s chance to clean itself up and put itself back on the map after the IRA bomb, and built outside Manchester City's new Eastlands stadium, it took its name from the sprinter Linford Christie’s claim that he starts a race on the ‘B of the Bang’ of the starting pistol. An audacious piece of public art by the innovative young designer Thomas Heatherwick, whose best known work is a folding bridge in London, B of the Bang was a bold and unmissable gesture in Manchester’s history for being a city of firsts and fitted right into its penchant for extravagant architecture. The sculpture had unmistakeable Manc swagger behind it, erected to capture ‘the city’s innovative and pioneering spirit’. A familiar and welcoming view, exploding like a firework over the city as passengers arrived into Piccadilly on trains from London or the south, it became as much a part of the Manchester skyline as the peaks in the background. B of the Bang was an artwork, but it was also something more than that - an icon, a reminder of the new Manchester full of ambition and hope for the future, rebuilding itself after decades of decline. Spikes reached for new ambitions like arms, stretching across often grey skies for something in the distance beyond their reach. Splayed dramatically across Manchester postcards, it became one of the bold single images that represented Manchester to the outside world post-bomb (although, implausibly, in the pictures it‘s always sunny). Its impact was made all the more powerful by its context: B of the Bang didn’t adorn the corridors of power, but was tucked away in Beswick, a suburb just outside the city centre that ranks amongst the most deprived areas of Manchester - according to the Government’s Multiple Indices of Deprivation for 2000, Beswick was in the top 1 per cent most deprived wards in the country - where little else would make it into tourist promotional material. 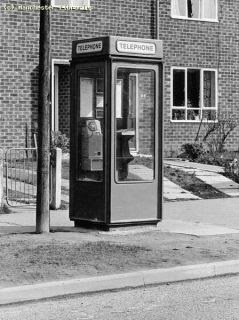 It didn’t look out over grand municipal buildings or manicured lawns but busy roads and a giant Asda superstore. B of the Bang wasn’t built in the type of area people would visit for pleasure, (apart from Manchester City stadium), but it was a symbol of hope that gave the area something to be proud of (in theory). Funded partly by the Northwest Development Agency and European Regional Development Agency, it was intended as part of the process of regeneration that was being undertaken in the area, and contains a time capsule in the centre so people opening it in three hundred years time will have a record of an area of Manchester that has been knocked down and rebuilt several times, with more of the same planned for the coming years. At B of the Bang’s launch in January 2005, the Chief Executive of the urban regeneration company New East Manchester called the B of the Bang a "very clear and bold statement of intent”. He said: “The regeneration of east Manchester needed a monumental piece of public art to provide a sense of identity and place and to represent the physical, economic and social changes underway in the area." The sculpture had problems from the start and quickly became known, unkindly, as C of the Clang by residents, with people taking exception to its rusty appearance (although this was part of the design as the sculpture was, like Angel of the North near Gateshead, built in weathering steel that was supposed to gain a layer of oxide as it was exposed to the elements). The council has considered the option of rebuilding it in a lighter material, yet it wouldn't fit so well the redbrick fabric of the city. B of the Bang cost £1.42 million to build - way over estimate - and was finally installed two years late. It lost one of its spikes soon after being erected and had to be fenced off from the public. Last year, the council settled for £1.7million compensation in an out of court settlement, which added to local people’s anger that £120,000 of their taxes went towards funding the sculpture - although there are many passionate admirers of B of the Bang who protested against the decision to take it down. In total, 22 out of the 180 spikes had to be removed, and earlier this year work began on sawing off its hollow tubes. Now only a collection of stumps remain, looking like a bad homemade haircut, with one lone spike trailing limply like a rats tail ponytail. B of the Bang’s gravestone esque memorial is a meek notice apologising ‘for any inconvenience caused’ due to the sculpture’s ‘technical difficulties’. 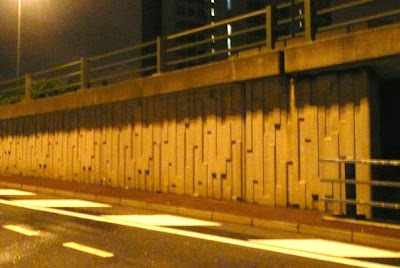 The official line is that "B of the Bang is a magnificent artistic statement that was just right for modern Manchester. It is regrettable that technical problems have undermined that artistic vision”, yet Anthony Gormley, the artist behind Angel of the North, and others have criticised the council for their loss of ‘nerve’ in choosing to dismantle, rather than make the investment to repair, the sculpture. 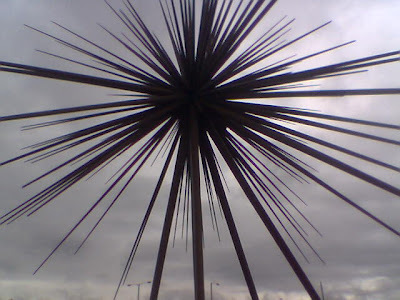 Unlike other statues, even big ones like Angel of the North, B of the Bang has an edge to it, elegant in its simplicity yet spiky as a Yucca plant. The Beetham Tower is the image most people have of a sky high Manchester, yet its only distinguishing feature is its height, and it couldn’t be said that it contributes any excitement or dynamism to the Manchester sky. B of the Bang didn’t passively watch over the city or, like Gormley’s Another Place on Crosby Beach, near Liverpool, stare out to sea. It swayed in the wind like a trembling tree (an inbuilt design detail) and strange music whistled through its spikes on a windy night. Whenever I go to the jobcentre, there seems to be a high likelihood it will be raining, and I will be soaked by the time I get there. I generally cut through shiny, new Spinningfields - although it seems to flood easily, and I often get wet feet in this area due to the poor drainage! - past the courts with hoodies grouped outside and onto Bridge Street, although sometimes I approach from Chapel Street as I like the views and getting to walk under railway arches. This is the view from Chapel Street looking towards the river, probably one of the most dramatic views in Manchester - it looks so modern, futuristic even! The buildings gleam in the sunshine as much as the puddles in front of them. There are many other modernist buildings in Manchester but not really clustered as dramatically in one area as here. The white 1960s buildings completely contrast with the dank, dark, dripping railway arches of Chapel Street, built in grimy redbrick, from which the photo was taken! In this photo, you can see why the new Civil Justice centre is known as the 'filing cabinet!'. From a grubby concrete wall hidden behind scrawny trees to a shabby former council building turned into a giant advertising hoarding, all across Manchester are iconic pieces of the city's fabric laying neglected and forlorn. 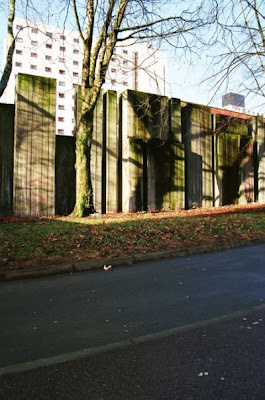 Otherwise known as the Holloway sculptural wall on London Road, built in 1968 as a sound-buffer yet an artwork in its own right, and the former Unemployment and Benefits Office on Aytoun Street, these are just some of Manchester’s hidden treasures that we walk past on a daily basis. Whilst to some these buildings rank amongst outdated eyesores that should be pulled down as soon as possible, many regard them fondly as a vital part of their personal experiences of the city. 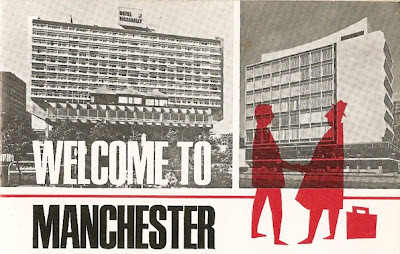 Manchester Modernist Society was formed in April by Maureen Ward and Jack Hale, two Manchester enthusiasts, to inspire people to look again at the buildings which, while not necessarily beautiful in a conventional sense, are central to our cityscape. The pair, who are members of the Twentieth Century Society, the organisation which campaigns to protect the architectural heritage of the last century, acknowledges there are already a lot of fragmented groups that look at how we relate to the city, but wants to encourage them to work together. As the first modern city, Manchester is choc a bloc with modern buildings, which for the society's purposes are those built between 1914 and 1999. This encompasses a lot of different architectural styles and movements, from 30s Art Deco to 60s Brutalism. We all know Manchester is renowned for its Victorian and Edwardian architecture - think about the attention conferred on buildings like Gorton Monastery and Victoria Baths, as well as its mills - but what about those buildings that get on with it quietly in the background, minding their own business? While often not as ostentatiously flashy as the grand redbrick Victorian buildings, they have a beauty all of their own. Often deserted, Manchester’s modernist icons are neglected and left to rot, until they’re torn down to make way for the new city of glass that’s taking over Manchester, street by street, turning it into something shiny and homogenous yet sometimes cheaply built. Jack said: “It’s expensive to use old buildings in a modern way - it’s cheaper to build new ones than to modernise 1930s buildings”. Maureen, who has an academic background in archaeology, agreed: “Our architectural heritage shows what we were. For example, the New Century Hall had a ballroom and scooter boys used to meet there. I’m interested in old cafes as well, and meeting places.” For example, pre-1967 cafes became spaces where gay men could meet when homosexuality was still illegal. That’s what the buildings of modern Manchester capture - its recent history, from old cinemas to tower blocks and council estates. As Maureen says, they show the ‘machinery of how the city works'. Unfortunately, few of these buildings survive in their original purpose - the Express Building for one is now flats and offices. 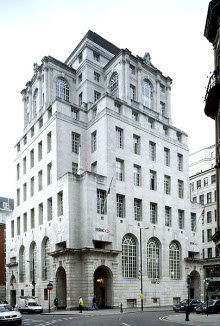 Lutyens’ magnificent former Midland Bank on King Street, built in the 1930s, is lying empty, having trouble finding someone to give it a new use, and the Coop is moving out of the CIS tower to a new, purpose built premises. Manchester University wants to sell off the former UMIST campus, home to many innovative buildings such as the Faraday Building - many students at the university are unaware North Campus even exists - and students will cease to study at the affectionately named Toast Rack in Fallowfield by 2010. Moberly Hall, the former refectory building, which Maureen praises for its 'lovely angles', is already on its way out. 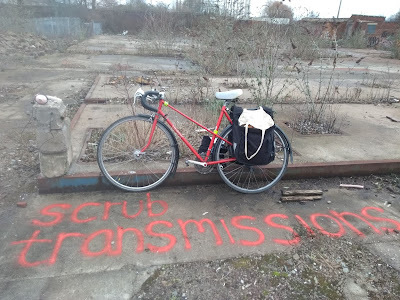 The society acknowledges it may not be able to save the buildings that are already condemned to be replaced, but hopes to raise awareness of them before they go forever through specially commissioned artwork and screenings of old films. There will also be talks and debates, walks and social events such as outings to other cities. The CUBE website has a brilliant guide to Manchester's buildings, broken down into area/ theme/ architect, with an extensive building by building guide to its modernist architecture. Manchester Confidential has often sung the praises of modernist buildings too, from the Holloway Wall to the UBO. 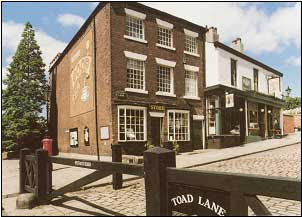 Toad Lane, Rochdale - the best museum I've been to in ages! If you've ever wondered why Manchester has a Corporation Street or the area around Shudehill and Victoria is lined with grand old buildings advertising wholesale exchange across the country, it's because the Coop, the nationwide banking/ food/ insurance/ travel chain, has its roots in Greater Manchester. The Cooperative Society we know today may have its headquarters in Manchester, with a statue of Robert Owen - perhaps the world's most famous cooperative thinker, best known for founding a workers' community in New Lanark and fighting for workers' rights - offering protection to a child outside, but it all started in a small street in Rochdale back in 1844. Today, the Coop's main office is just a stone's throw from Manchester Victoria, where trains to Rochdale take 15 minutes. 28 'ordinary men', who became known as the Rochdale Pioneers, took it upon themselves to open a shop for two hours, two evenings a week, concerned at the exploitation of the poor by unscrupulous traders who 'mixed sand with the grain and soil with the cocoa'. Back then, the landlord wouldn't allow a group lease, but now the Coop is the biggest consumer owned company in the world and the building where the first shop was opened, which is tucked away behind Rochdale's present day shopping area, is a fascinating museum dedicated to one of the world's biggest social movements. On arrival, a member of staff gives a brief history of the movement. I was told proudly ‘anything cooperative today is thanks to these lads here’ and given a background to the industrial landscape: 'During the hungry 40s, wages dropped 80 per cent, but this was a chance for workers to work their way out of poverty'. The museum, which is mainly just one room, is crammed with artefacts like weavers' clogs and looms. Objects such as pamphlets, caps and truncheons used against workers and campaigners during strikes illustrate a timeline of the cooperative movement in Rochdale. Later, letters between different branches show its spread across the world. There are explanations of divi day, when those who invested in the company could reap their share of the profits, and the principle behind the cooperative movement can be seen first hand through the commodity tokens and Labour notes - a form of currency used mainly by craftsmen that was equal to the amount of time it was estimated goods should take to make - on display. Cooperativism is based on the idea that labour is exchanged for labour and noone should be able to make a profit out of others. In the nineteenth centrury, it also offered a way for workers to be educated and improve their lives socially as well as economically. Toad Lane doubled up as a reading room and classroom to promote the ‘educational, cultural, social traditions’ of the cooperative movement, and the museum has information relating to pageants and plays held by cooperative societies as well as cricket matches between different branches and copies of the Pioneer song book. Upstairs is like an aladdin's cave of objects donated by people from all over the world, from displays of goods on sale in cooperative shops over the last two centuries - including, intriguingly, haemonglobin capsules - to bikes and banners and a 1920s magic lantern. There are photos of cooperation in action all over the world, from Sweden to South America. A 1934 article from the Rochdale Observer entitled 'the Romance of the Coop' describes how the Coop ‘started on £28, now handles £346,000,000 a year’, and the Coop is just as successful today. Cooperativsm based on the Rochdale Principles is practised worldwide, with over 800 million members in more than 100 countries, and a display on Fair Trade shows how the Coop is still helping the less fortunate today. The museum is open from Tuesday to Saturday, 10am to 4pm and Sunday 2pm to 4pm. Adults £1.00, children/students/senior citizens 50p, family ticket £2.00.